You can do most everything with VBA, true; but you shouldn’t use VBA if you don’t have to. For example, it’s tempting to store your all your program’s global variables in a module. This methods brings the advantage of accessibility: the variables can be accessed by any procedure. However, these variables are also “freed” from memory whenever your code errors out or whenever you tell Excel to “Restart” your code. When this memory is dumped, you must start over: usually, you must create a “new” or “restore” method that reinitiates these variables. I don’t prefer this method. In addition, I can access this variable anywhere in my code as I’ve done above and anywhere in my workbook using =[Calc.Left]. But it goes beyond variables. You can color cells using Conditional Formatting (provided you are using Excel 2010 or greater) rather than addressing their location through VBA and changing their backgrounds colors. You can address a cell’s value using something like =INDEX([GameMap], [Character.Row], [Character.Column]) rather than using Sheet1.Cells([Character.Row], [Character.Column]).Value. I know what you’re thinking: ok, that’s just another way to do the same thing. Well, yes, that’s true. But it’s also a much faster and more organized way of doing the same thing. In the finest book ever published on VBA and Excel application development, Professional Excel Development, Bulley et al show reducing the amount of VBA instructions Excel must execute can deliver performance enhancements. Consider for a moment how many instructions are required to move a character on a game board. You have to store the character’s location in a global variable. You have to select the cell in which he (or she!) will go. You have to write the smiley to the new location. And you have to clear out the old location. A lot of this can be handled on your behalf by Excel. Let’s deal with item 2, first. Think back to how we would use the variable, Calc.Left, in a formula. For instance, to find out the location to the right of a character, we’d have to do something like =Calc.Left + 1. Notice that this formula can only access Calc.Left but it can’t change it. This is an example of enforcing encapsulation on the spreadsheet. If there are no form controls attached to cell corresponding to Calc.Left, then the only way to change this variable is through code (or you could just type in a new value yourself—but let’s pretend for now we’re talking about a production level item and your variables tab is hidden). And for the Model-View-Controller wonks out there, consider how this dynamic mimics MVC. Now let’s focus on the first item of encapsulation, item 1 from above. If you’ve been coding for a while, the advice about to give might feel pretty counter-intuitive. Here it is: don’t place your sub procedures in a module. Instead, place related variables and procedures an their associated Sheet objects as I’ve done below. Like I said, my approach is different from Cary’s. Different enough, that it was worth pointing out before going forward. But whether you follow or ignore my approach, it’s important to have an approach before diving right in. This entry was posted in Development, Games, Standards, VBA on September 16, 2013 by Jordan G.
Today, I found this journal article, The role of OR [Operations Research] specialists in ‘do it yourself’ spreadsheet development, from the European Journal of Operational Research, by John S Edwards, Paul N Finlay, John M Wilson. The article outlines 20 Guidelines for Spreadsheet Development and 21 Best Practices Points, which I excerpt below. Fig. 2. Guidelines for spreadsheet development. Fig. 3. Best Practices Points. Never input the same piece of data more than once. Figure 2 and Figure 3, from John S Edwards, Paul N Finlay, John M Wilson, The role of OR specialists in ‘do it yourself’ spreadsheet development, European Journal of Operational Research, Volume 127, Issue 1, 16 November 2000, Pages 14-27, ISSN 0377-2217, 10.1016/S0377-2217(99)00331-8. 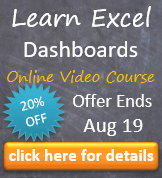 This entry was posted in Advanced Excel, Development, Discussion, Standards, Tips on May 21, 2012 by Jordan G.
An ideal Excel filename should be two or three succinct words and contain few numbers. Current operating systems no longer constrain filename character length, so there is neither excuse for nor cleverness in using shorthand. Capitalize each word as you would a document title. The name of your file is not a programming variable or engineering quantity. The words in your filename should not be connected with underscores (“_”) nor dashes (“-“). Unless your file is a report that comes out on a specific, periodic schedule, there’s likely not a good reason to put today’s date in your filename. If you must put a date in your file, place the date at the beginning, left-hand side of the filename so it appears first. This ensures the date is not cut off when viewed in a file explorer. Dated files are likely to be stored with similar files in the same folder, so cutting off the last bit of each filename on the right is less harmful than cutting off the date. If the workbook is a monthly report, the name should by the three character month followed by the year, then another space for the filename (e.g. “May 2012 Cost Report”). For reports that occur more frequently, a MM-DD-YYYY is preferable for sorting within the file directory. \However, dates must always be clear; do not write “03-12” as this could mean March 12 or March 2012. Finally, full dates should not be clumped together without a dash (bad: “03122012”). If you have several iterations of a file, use a numbering system instead of dates. Using dates leads to the horrible practice of adding extra numbers at the end of the filename. For example: “InventoryList 22 Feb 2001_1.xlsx”, “InventoryList 22 Feb 2001_2.xlsx” … etc. Moreover, using dates and the former practice will not instantly make clear the latest version of your file when viewed in a file directory. However, placing a number at the end of your filename (“Inventory List 1.xlsx”, “Inventory List 2.xlsx”) always will make clear the latest (and first) iteration of the file whether sorted by filename, file type, or date modified when viewed in a directory (these files will always be either first or last). Numbers always should appear as the last character on the right. 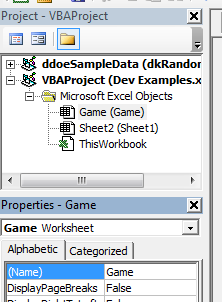 This entry was posted in Discussion, No VBA, Standards, Tips on March 7, 2012 by Jordan G.